Thai Delight Cuisine 1700 Shattuck Ave./Virginia St., Gourmet Ghetto, (510) 549-0611. L-D daily; $$. Reservations accepted. Featuring a pleasant atmosphere, this one-room Thai venue provides a wall lined with comfortable booths as well as a sea of tables and chairs. The extensive lunch menu is well priced, with noodle dishes and rice plates, plus an entire page of veggie options and an additional several pages of organic choices. Particularly tasty items include pad Thai, green curry, pumpkin curry, basil eggplant, and pra ram tofu (with peanut sauce on top of spinach and broccoli). If you want spicy, do request it. ACCI Gallery 1652 Shattuck Ave., (510) 843-2527. M-Sat 11-6, Sun 12-5. Featuring ceramics, jewelry, paintings and more, this is the place to find that perfect gift. Samovar 730 Howard St./3rd St., Upper Terrace of Yerba Buena Gardens, (415) 227-9400. Daily 10-8; $$. No reservations. A menu of whole-leaf teas along with some sweet or savory treats are just the thing to enjoy here in the airy, high-ceilinged interior space or outside on the sprawling patio overlooking Yerba Buena Gardens. The Upper Terrace is home to Sister City Gardens, which features flowering plants from San Francisco’s thirteen sister cities. Try the housemade Masala chai paired with a cherry-oat scone or smoked wild salmon quiche, or maybe one of the cultural tea services—the Moorish spread comes with veggie kebabs, mint salad, endamame hummus and roasted eggplant spreads, chevre-stuffed dates, and mint tea. Who knew that Bay Area “Jewish surf music” even existed? 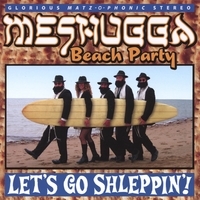 A delightful photo of "Hassids with surfboards" (it is also on the album cover of Meshugga Beach Party's latest album, “Let’s Go Shleppin!”) is part of the "California Dreaming" show here, running through October 16, 2012. Don't miss it . . . or the Houdini: Art and Magic show, which displays some amazing video footage and continues through January 16, 2012. Origen: a Farm to Fork Restaurant CLOSED 2826 Telegraph Ave./Oregon St., (510) 848-9200. L Tu-F, D Tu-Sun; $$. The restaurant’s name is a Catalan word meaning “from the source.” The locally-sourced menu changes daily and features international flavors, Catalan influences, and a small plates presentation. Chef-owner Trace Leighton says, “We do large flavors on small plates.” My meal began with a stiff 50’s-style “freight & salvage” highball made with Redemption rye, Chartreuse, and Carpano. It took the edge off. My companion and I ordered everything to share: really good potatoes bravas with aioli, pan-fried baby Brussels sprouts with chestnuts and aged sherry vinegar, a silky wilted spinach salad with beets and pecans (it definitely wasn’t wilted, but was still very good). We enjoyed a highly-seasoned, spicy paella--one variety is available each day--with shrimp, pistachios, and squash; it had a creamy consistency like a risotto. Room remained for just a few slices of the tasty Basque chorizo pizza made in a wood-fired brick oven and so most of it went home with us (it measured 9 inches and featured a soft, fluffy, chewy crust). Many items can be prepared vegan by request. A five-course prix fixe menu with optional wine pairings changes daily. Desserts include homey bread pudding, a scrumptious butterscotch-pecan blondie, and assorted artisan cheeses. Polished wood paneling and accents by Berkeley Mills provide a warm decor, and some booths offer comfy seating. My favorite touch is the soft dish towels that are used as oversize napkins. DETAILS: This Gold Rush town’s historic district is closed to traffic and transformed into Christmas past, and enchanting melodies and costumed characters take visitors to another time and place. Enjoy tasting chestnuts roasted on an open fire, hearing strolling minstrels and brass bands, riding on a hay wagon, and more. 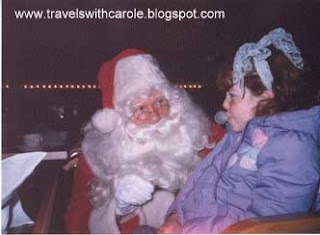 Among the promises: Victorian singers, bagpipers, a living nativity scene, a walking Christmas tree, and, of course, Santa Claus. WHEN: On Fridays, beginning the Friday after Thanksgiving (November 25) until the Friday before Christmas (December 23), 6-9 PM. DETAILS: Experience an old-time Christmas at this event celebrating the traditions of the Cornish miners who settled this neighboring Gold Rush town. Visitors can taste traditional food and drink, hear period music, and dance in the traffic-free downtown streets. NEARBY LODGING: National Hotel (in Nevada City), (530) 265-4551. Located right in the center of all the action, on the town's main street, this claims to be the oldest continuously operating hotel west of the Rockies--maybe even west of the Mississippi. Built in 1856, it is a state historical landmark and features high ceilings, cozy floral wallpapers, and old-time furniture. Della Fattoria 141 Petaluma Blvd. N, (707) 763-0161. Tu-Thur & Sat 7-3, F 7am-9pm, Sun 9-3; $$. Part artisan bread bakery and part cafe, this is a cozy, pleasing venue for a tasty breakfast or lunch. Breakfast items include a housemade bagel with homemade cream cheese and smoked salmon (though it is near perfect, a few garnishes—perhaps some onions and pickles—would be nice) and a crusty housemade rosemary-Meyer lemon bread toasted and topped with pureed flageolet beans, Laura Chenel chevre, roasted garlic, and olive oil. Do remember to order up a loaf of bread and a bag of granola (heavy on nuts mixed with oats) to take home. More things to see and do in Petaluma. Szechwan Restaurant 79 Orinda Way, (925) 254-2020. L Tu-Sat, D Tu-Sun; $$. Simple, clean, and with a nice park view, this welcoming spot also has quite a few comfy booths. No MSG is used in the dishes, which include tasty hot-and-sour soup, sweet-and-sour pork (cut in small pieces and not overly sweet), and Szechwan beef (deep-fried meat punctuated with bright green peas). The bargain lunch special includes tea, soup, salad, appetizer, rice, entrée, orange slices, and a fortune cookie. 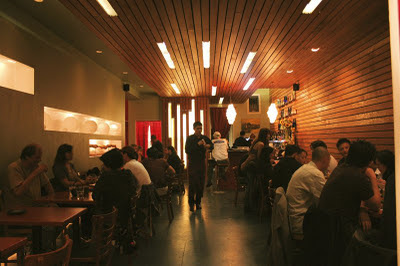 Jane 2123 Fillmore St., Upper Fillmore, (415) 931-5263. 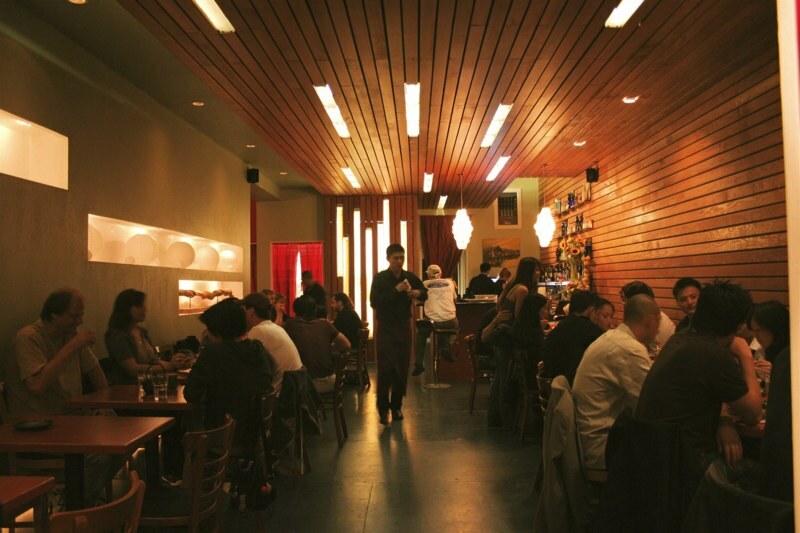 This small, narrow venue features tall ceilings and windows, a variety of seating options, and a scrumptious menu. Diners order at the counter near a mouth-watering display of baked goods. You can’t go wrong with the combo plate, most especially the veggie chopped salad combined with the tomato-basil-mozzarella-pesto panini. More tasty possibilities include a Nicoise salad, Asian chicken salad, and Duroc ham-Gruyere panini. Oh yeah, those pastries. I thoroughly enjoyed the chocolate chip toffee cookie, and plan to try the chocolate cherry cake next time. Metro Hotel 508 Petaluma Blvd. S., 6 blocks SE of downtown, (707) 773-4900. 14 rooms, 2 cottages, 1 Airstream trailer; 2 stories. Limited continental breakfast. No pets. Located on a main thoroughfare four blocks south of downtown, this unusual lodging complex consists of rooms within an 1870s mansion as well as several cottages and an Airstream trailer. A mix of cheerful French blue and other perky colors welcomes guests. For the minimalist breakfast you make your own cup of drip coffee--which is kind of fun and it is the gourmet organic Peet’s brand--and then select from a couple of pastries that might include a pumpkin or blueberry tea cake. The French atmosphere is enhanced with music and decor, yet subtle. Rooms are decorated similarly with a Parisian flair: walls in varying soft color washes; a chalk-board for a headboard; light, natural hardwood floors; distressed antiques. Most rooms have the spaciousness and high ceilings that come with Victorian mansions. Bathrooms vary, and all but two rooms have a clawfoot tub with a shower. Vintage touches include tiny one-inch, six-sided white floor tiles and two-faucet sinks. A bocce court invites play, and many benches beckon in the small garden. Hyatt Regency San Francisco is hosting snowfall throughout the holiday season in its dramatic atrium lobby--dubbed by the Guinness Book of World Records as the world's largest. Snow falls three times daily through December 31, 2011. In addition, you'll see thousands of dramatic cascading lights and a spectacular 30-foot tree. ice skating at the Embarcadero Holiday Skating Rink occurs daily in December and January. 900 Grayson 900 Grayson St./7th St., (510) 704-9900. B-L M-Sat; $$. No reservations. Situated within an atmospheric vintage building, this cozy restaurant usually requires a wait. Once inside, it isn’t easy to choose from the tantalizing menu choices, but The Demon Lover does seem to be the runaway favorite. It consists of a spectacular crispy fried chicken breast atop an unremarkable waffle and is draped in old-time white chicken gravy; it is fork-licking good, but next time I order it, I’m doing it a la carte and getting the chicken with a side of gravy and slaw). Herb french fries, a burger, a pulled-pork sandwich, and coriander-crusted rare ahi tuna are also very good. Libations include unique mixed drinks and agua fresca. Check out the new baby giraffe at Safari West. 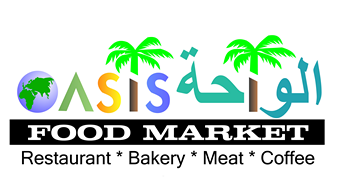 Oasis Food Market 3045 Telegraph Ave., (510) 655-5111. Daily 9am-10pm; $. In addition to a deli and grocery, this Middle Eastern market has an informal dining area. It’s easy to fall in love with the smoky babaghanouge and crunchy red Turkish salad, especially when paired with 9-inch rounds of zatar-topped “pies,” but do save room for perhaps a kabob or shawarma or falafel. Five kinds of Feta and six varieties of olive are also available. Note that a paper menu at the counter makes ordering easier. Halal meat, hookahs, and Arabic kitchenware are also for sale. Sonoma Valley Portworks 613 Second St., Riverfront Warehouse District, (707) 769-5203. Daily 12-5. Tasting here includes six wines—perhaps the chocolaty Deco port, or the Duet hazelnut sherry--plus the rich, sweet Sonomic “almost” vinegar. On weekends, tastings are paired with cheeses and sweets, and amazingly it’s all free. Bottling takes place in the back. The Find 322 Western Ave., (707) 763-2276. This spacious shop features home furnishings on consignment as well as many chicken-related items—perhaps a series of chicken-head paintings or an antique chicken egg incubator. Hotel Keen 425 High St./University Ave., downtown, (650) 327-2775. 42 rooms; 3 stories. Afterrnoon wine tasting; evening cookies; grab-and-go breakfast. No pets. Located a quiet half-block from vibrant University Avenue and its plethora of shops and restaurants, this Very Now new hotel features a cool color scheme-- grey, black, and white with a few splashes of color. Spiffy touches include a shiny whiteboard wall behind each 32-inch flat screen TV (with HBO), where guests can write notes and express their inner artist. Though no parking is provided, free hours in an adjacent public lot accommodate most schedules. An alcove the sleek lobby holds an honor snack bar and a small breakfast room (breakfasts ordered the night before will be boxed and ready for pickup). Though not spacious, the deluxe room is efficient and comfortable for a couple; the standard room is 25% smaller and has no closet. The bathroom and closet door is a curtain. A nearby fitness center is available at additional charge. Amador Flower Farm 22001 Shenandoah School Rd., (209) 245-6660. Daily 9-4. Free. No pets. Four acres of demonstration gardens display unusual perennials (including some deer-resistant varieties) and grasses plus almost a dozen types of peony (there are only two or three dozen in existence) that bloom in April and May and the 60 varieties of rose that begin blooming of May. The star attraction is the more than 1,000 different daylilies displayed. Peak of bloom is mid-June through July, when an annual Daylily Days celebration is held that includes fruit tasting and a free tram ride around the farm. Several pond-side picnic tables are provided under gigantic heritage oak trees. Xyclo 4218 Piedmont Ave., Entrada Ave., (510) 654-2681. L-D daily; $$. Reservations advised. In simple but pleasant surroundings, this Vietnamese venue inspires diners to argue over which is the best dish. The list of possibilities includes stuffed eggplant (actually long slices of eggplant tossed with lengthwise slices of fried shrimp, green onion, and sake sauce), spicy green beans, chili ribs, devil wings, spicy steak salad, pho, double spring rolls, sugarcane shrimp roll, bird’s nest noodles, and lemongrass basil chicken dish. And on and on. It is difficult to order poorly. Schat’s Bakery Cafe 113 W. Perkins St., downtown, (707) 462-1670. B-L; $. Located across from the town’s court house, this popular Dutch-heritage bakery makes everything from scratch. Step up to the counter to order. For breakfast it’s omelettes, waffles, burritos, and plenty more; for lunch think soups, salads, stuffed baked potatoes, and sandwiches (including a build your own) made with delicious organic bread—do try the whole-grain sunflower seed or the cloud-soft sheepherder. 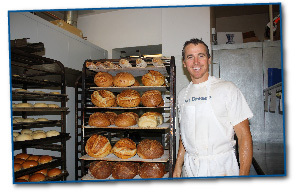 Popular bakery items include Dutch crunch bread, fruit pastries, oversize macaroons, and hunky muffins. Goods are well priced to begin with, but leftovers become half-price after 5:30 p.m. The new Sunday brunch buffet at Spenger's--CLOSED--includes omelette/waffle and prime rib/ham carving stations, fresh fruit, seasonal fresh shell fish (usually the seafood trifecta of crab, prawns, oysters), smoked red salmon, talapia and catfish items, crispy romaine lettuce and delicious dressing, breakfast pastries, and more, plus coffee, tea, and soda ($29.95, age 10 and under $10.95). In fact there are so many delicious options that I barely made a dent in them, yet I ate little more for the rest of the day. A bottomless Mimosa or glass of sparkling wine is $8. Seating in the central “snugs room” is light and cheery, while the comfy booths lining the bar buffet are darker but also closer to the food.